I’ve never done origami. It seems fairly intricate and involves a precision that my hands don’t seem fine-tuned enough to tackle. 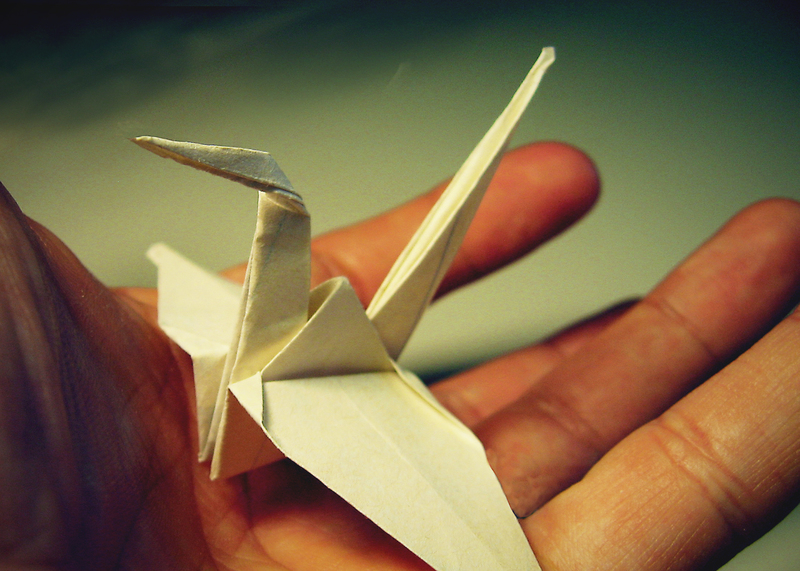 But there is a beauty and science that permeates through origami, a simplicity that blends art and purpose. It has been said that origami is bringing out, through folding, the nature of paper which the pieces of paper concealed before being folded. Origami is an art of constant change. I have a hard time folding a paper airplane, let alone turning it into a dancing hyena or an arc-welding elephant. But I see the essence of it playing out in my life these days. The difference is that there is also some unfolding…lots of it. I am not sure when, but at some point in my early on, I learned was I was less than you. My parents were loving and supportive, I had great friends in the neighbourhood and in school, and I always felt accepted. But somewhere along the line I had an innate sense that I wasn’t on the same level playing field that others were on. I didn’t measure up to the standard that somehow I created and policed. And with that came the inevitable comparisons, the low self-esteem and self-worth, self-destructive behaviour and an ego-crafted version of myself that I could not either live up to nor feel that I was even worthy of. This is the core stuff that germinated early and bore fruit later in and through my alcoholism. What I thought others thought of me was simply my reflection of myself through dirty water. I didn’t know who I was as much as who I wasn’t – good enough. Alcohol was just but a symptom, of course. Poor decision, poor thought processes, poor judgement…all in the name of getting me further away from me. And don’t you dare give me a compliment! I would duck and weave as if you were throwing ninja stars at me rather than kind words. Deflect! Deflect! Deflect! I was crumpled up onto myself, like a ball of discarded paper. But there was something that started to change in sobriety and recovery. As I surrendered to my alcoholism and realized I was powerless over it, I started to see where I needed to surrender to some other aspects of my inner life. I was no longer a slave to this facade that was inauthentic, I refused to live the lie of the fraudster. Like in origami, I was starting with paper that was already imbued with meaning and purpose, but had been folded improperly – lines and angles were wrong, creases were rough and the end result misshapen – it’s divine raison-d’etre compromised. It’s with prayer, meditation, taking certain steps, creative introspection, journaling, and creating an ever-evolving inner dialogue with my core self, I have been able to unfold and fold, fold and unfold. I still don’t know what it’s going to look like. I don’t know what the paper is transforming into, but it’s transforming, one pleat and crimp at a time. I sometimes have to go back and fix something, but I keep my hands moving, my heart active, my soul open to interpreting the world around me. I have worth. I really do. I have self-love, self-value. Each of those is a flex in the right direction. I am no longer that crumpled mess. I am a work in progress. So glad you are learning to unfold your life and sharing that insight with others. Thank you! Beautiful, Paul. I’m really loving your writings! You have put into words some of things I have had a hard time explaining to myself. Great piece. Thank you!